A CITY charity is to benefit as the luxuriously famous Orient Express comes to town. The British Pullman luxury heritage train will be in Plymouth next month to support St Luke’s hospice, donating a proportion of ticket sales booked direct with the charity. 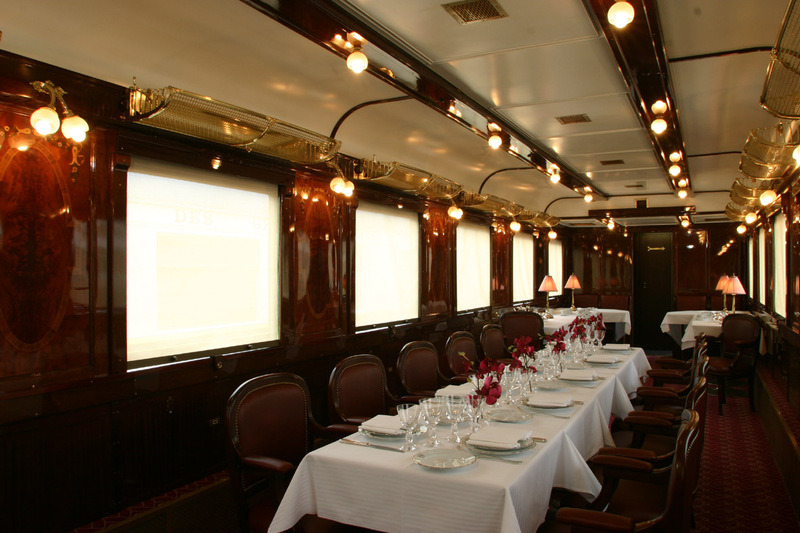 The British Pullman forms the first part of the journey on the famous Venice Simplon Orient-Express and transfers passengers to the channel. She is a working antique and is made up of a collection of 1920s and 1930s Pullman first class dining carriages. Howard Barclay, director of sales at Venice Simplon Orient Express, said: “We have been working with many hospices in the UK over the last five years and have helped raise over £250,000 for the hospice community. Network Rail sky view of work in progress at Dawlish. One other bit of interesting rail related news. It has been confirmed that FGW will be operating some 'summer saturday' diagrams between Penzance and Exeter using loco-hauled stock and 57's off the sleepers. So far the 2E75 and 2C51 are confirmed to be loco-hauled this summer. Possibly other unusual diagrams might be introduced this summer in Devon and Cornwall, to fill in for a shortage of available 150 / 153 local units.